Regardless if you are NEW TO RENTAL PROPERTY or a SEASONED REAL ESTATE INVESTOR the right Property Management Company can properly position you to take full advantage of the BOOMING Colorado Springs rental market. Experienced & proven management services that focus on proactive measures, proper guidance, and complete transparency is the best way to ensure you accomplish the goals of every successful rental property owner...which is being SUCCESSFUL & INFORMED WITHOUT BEING BURDENED. If you are considering turning your home into a rental property temporarily due to current circumstances, we can help ensure it is a short-term profitable solution from start to finish. Whether you are looking to build equity to sell and profit or you look to return to the home at a later date...we have you covered! If you purchased a property as an investment opportunity, we can help ensure your investment property is managed and maintained in order to protect the property's value while providing monthly income....month after month. LEVERAGING THE MOST ADVANCED & ENGAGING TECHNOLOGY TO BEST ENSURE YOUR SUCCESS. DOCUMENTING YOUR PROPERTY Although our inspections are detailed thoroughly, we complete a 3D scan to further ensure every detail of the home is completely documented. MARKETING THAT MAKES YOU STAND OUT Studies have shown that the 3D Virtual Reality Showcase Tours increase engagement by 300% with Renters 93% more likely to call. The perfect marketing asset when advertising your rental (or to sell in the future, if applicable). + EST. 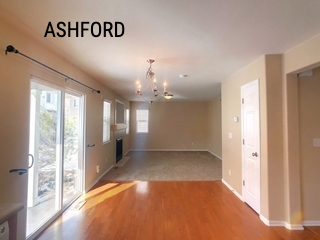 2007 = EXPERIENCE Ashford Realty Group was originally established in 2007 as "Ashford Property Management“. 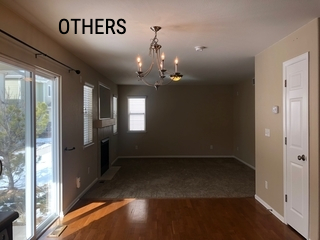 Now with a combined 59 years of experience and 11+ years of being a Full-Service Colorado Springs Property Management Company, we are not learning the business or the areas market with your property and at your expense. + UNIQUELY BUILT FOR OUR CLIENT'S SUCCESS Rather than replicating the "Portfolio" property management model, where one person "does-it-all" for 50-100 properties at the same time. We have created a unique business model that includes a TEAM OF DEDICATED PROFESSIONALS specially trained for their role in Property Management, while still having ONE POINT OF CONTACT. + ASHFORD DEDICATED PROFESSIONALS With their One Point Of Contact, our clients also have access to and the advantage of having a full team of Dedicated Professionals working together to ensure their success. These Dedicated Professionals include a Certified Maintenance Manager & Expert Renovation Specialist, Maintenance Coordinator, Dedicated Routine Property Inspector, Bookkeeper, Marketing Specialist, Office Manager, Client Concierge, Dedicated Showing Coordinators, Licensed Realtors, and a Managing Broker. + THE MOST COMPREHENSIVE INSPECTIONS & PROTOCOLS IN THE INDUSTRY Inspections are the single most important document to protect your property and is why we have created the most comprehensive inspection reports and protocols in the Property Management Industry. So much so, that we consult other property managers (outside of our area) on how to protect their client's properties. + A COMPLETE SOLUTION Lastly, we get results! Whether a long-term investment property or a short-term hold to improve equity position and sell for a profit, we have successfully helped our clients accomplish, and in more cases than not, exceed their goals. Thoroughly and properly documenting the home is critical to protecting property owners from damages left behind by a tenant. BUT this is not a concern for our clients, as we have created THE INDUSTRY'S MOST COMPREHENSIVE & DETAILED INSPECTIONS...AND ENFORCE THEM. To best ensure the residing tenants are caring for the property, we have a dedicated full-time property inspector that focuses strictly on scheduling and completing routine inspections while sharing EVERYTHING with you. We maintain a full-time maintenance coordinator that works solely on preventing unnecessary vendor charges and handling maintenance items (aka work orders) in the most cost-effective manner while communicating with property owners on any active work orders. THAT WE NEVER UP-CHARGE REPAIRS/ WORK ORDERS - EVER! WE DO NOT LEAVE THE KEY UNDER THE MAT- PERIOD! A new, but risky, trend that is becoming more and more popular with property management companies is allowing non-vetted people to access the home unaccompanied. This is done by leaving a lockbox on the door and giving out the code when people call in. We feel this is extremely risky for numerous reasons and is why you can be assured everyone viewing your home is supervised when working with Ashford. We take great pride in being available and prompt! You can reach out to your one point of contact or any team member through multiple communication channels (to include office line, direct line, text, portal, the contact form on the website, and email). We do everything humanly possible to weed out unqualified or risky tenants. Once a prospective tenant has been pre-screened, views the home, and submits a complete application we thoroughly review pay stubs (to evaluate debt to income ratios), criminal history, eviction history, credit history and more. It is as thorough as it can get! Get modern marketing for your rental property that rivals Luxury Home advertising. Our marketing assets and strategies are designed to eliminate costly vacancies by putting your home in front of as many qualified prospective tenants as possible. Maintenance calls don't just occur Monday through Friday. Our team is on call and is INCLUDED IN YOUR MONTHLY FEE AT NO EXTRA CHARGE. We assess and consult with the tenant to provide quality service for them while eliminating unnecessary after-hours repair fees and service calls for you. This is our job. DO NOT LET ANYONE UP-CHARGE YOU FOR THIS. THIS IS SMALL SAMPLE OF WHAT OUR MANAGEMENT SERVICES INCLUDE. We have completely eliminated the hidden fees (nickel & diming) common to the industry and only charge a small monthly percentage fee and a one-time tenant placement fee when securing and placing an approved tenant in the property. - THAT'S IT, NOTHING MORE! •What Your Property Will Rent For In Today's Market •What Impacts The Recommended Rental Amount •Current Market Conditions •Your Potential Cash Flow •Examples Of The Required Inspections That Save You Money •Prepping Your Property To Rent •Best Practices & Protocols •Monitoring Rental Increases & Equity •What We Do To Best Ensure Your Specific Rental Property Goals • What Is Needed On Your Part To Ensure Your Success •And more! GET YOUR FREE RENTAL ANALYSIS & PERSONALIZED PLAN - Simply fill out the quick form below...or call us at (719) 960-4025 to connect. Or get started with our QUICK RENTAL ANALYSIS FORM [here].